The Edinburgh Tool Library comes to Portobello! The Edinburgh Tool Library works exactly like a library, but with tools instead of books. Members can borrow from over 4,000 tools, including power tools, hand tools, gardening gear and decorating kit. 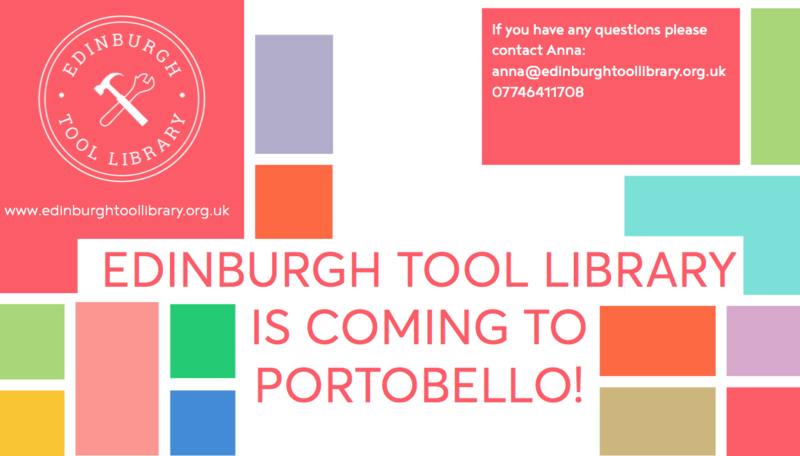 From Monday 26th June, Portobello residents will be able to collect and return tools right here at Portobello Library. You will also be able to become a member of the Tool Library and find out more about volunteering and donating those unloved tools we all have festering in the garden shed! Every Monday, starting from Monday 26th June, between 4.30pm and 7pm we will be in Portobello Library, 14 Rosefield Avenue. please drop in to join or find out more!